My last week of summer here in the Pacific Northwest has been filled with long days working on our landscaping project but I did take an afternoon off to visit some favorite locations looking for fall planting inspiration. This view is from one of the many of flower beds at Marina Park along the Edmonds waterfront. Beautiful! I love Black-eyed Susans. Those are showing SO nicely! I’m ready for fall! 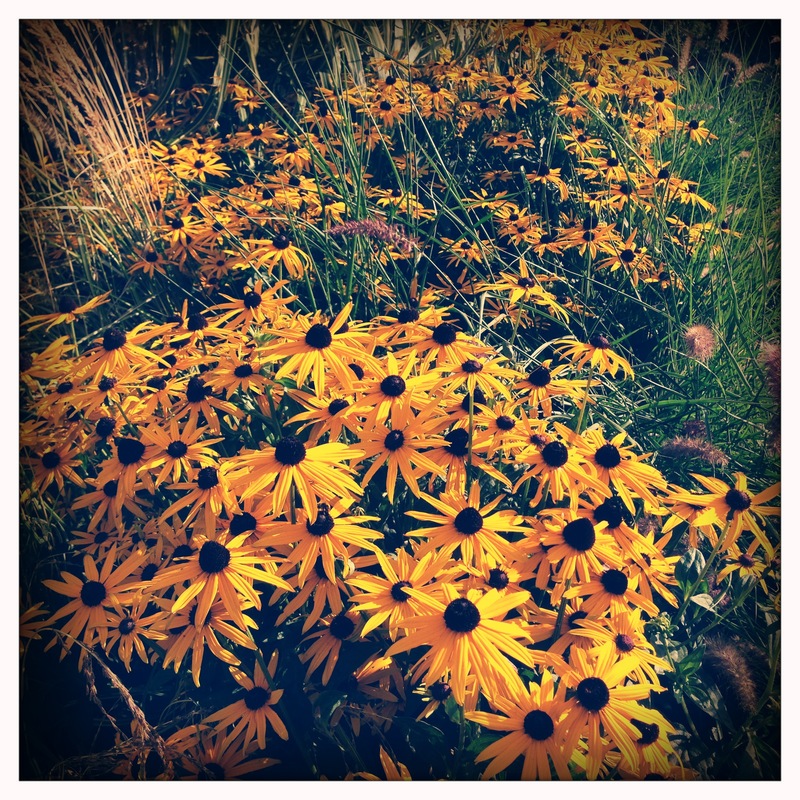 Love Black-eyed Susans! Lovely pic! A lovely meadow of black-eyed Susans to brighten up the day. Happy Phoneography. How nice. 🙂 Thanks for letting me know! Lovely. I like the way the picture draws me in and seems to keep on going. What a nice description, thanks for sharing Janet. Miss these beautiful creatures…my home up in the Midwest had them all over in the backyard! Oh that must have been so pretty! Thanks Polly, I couldn’t resist the cheery yellow flowers. 🙂 I can’t believe summer is almost over either!